As I think back on past vacations at Walt Disney World, I have so many memories of great times. The time spent exploring the parks, riding attractions and just plain old having fun, come back to me vividly. Yet, to this day, I always have a special place in my heart for the times spend sitting around a table, enjoying a meal with my family. Whether it was an early morning breakfast, where we were discussing the plans for that day or a light night meal, reflecting upon the day we just had, mealtime has always been a special time, when the entire family takes a break from the hectic pace of our Disney vacation to slow down and reflect, together, on what was most important about these trips, being together as a family. Through the years I have had many “favorite” spots to enjoy this family time, around the table. These days, the options are vast. There are hundreds of restaurants to choose from. Back in the early days of Walt Disney World there were fewer choices, and perhaps that is why the restaurants from those days made such an impression. As a “Polynesian Village” vacation family, many of my favorite Disney World dining memories take me back there, from The Great Ceremonial House to the Outrigger Assembly House and one of my families long lost favorites, The Papeete Bay Verandah. 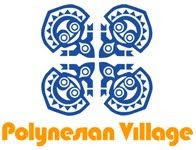 Papeete Bay opened with the Polynesian Village Resort back on 1971. The restaurant offered breakfast and lunch buffet, as well as a Polynesian Revue in the evenings. This revue was held earlier in the history of the restaurant and was different than another Polynesian Revue which was offered down in Luau Cove. Admittedly, I do not have any memory of this revue, although I do remember another special dining experience they offered, Minnie’s Menehune Breakfast. Minnie’s Menehune Breakfast was one of the first character breakfast buffets offered on property. Minnie, Mickey, Pluto, Goofy, Chip & Dale would appear during the meal, dressed in Hawaiian style shirts, grass skirts and leis. All of which added to the flavor of the experience and reinforced the idea that you were in a far off, exotic resort…even if it was Disney. This “flavor of the islands” didn’t end there; the buffet menu also reflected the Polynesian feel of the resort. With offerings such as Chicken Pago Pago, Keiki Lipa and Polynesian Braised Pork, the chefs did their best to bring a little bit of the south pacific to you, always keeping alive the feeling that this resort was all about transporting you to a far off island paradise. The Papeete Bay Verandah closed it’s doors permanently in September of 1994 to make way for yet another Polynesian dining experience, which also happens to be a personal favorite of our family (I actually held the rehearsal dinner for my wedding there) ‘OHANA. While the folks at Walt Disney World are doing a fantastic job of keeping the island feel of the Polynesian Resort’s restaurants, maybe it’s just nostalgia, but I will always have a special place in my heart for the Papeete Bay Verandah.